Over 2 billion mobile workers don’t have effective tools to do their jobs. Empowering them with great software can change the world, and yours. 200+ enterprise brands in 70 countries across 6 continents power their mobile workforces with GoSpotCheck. 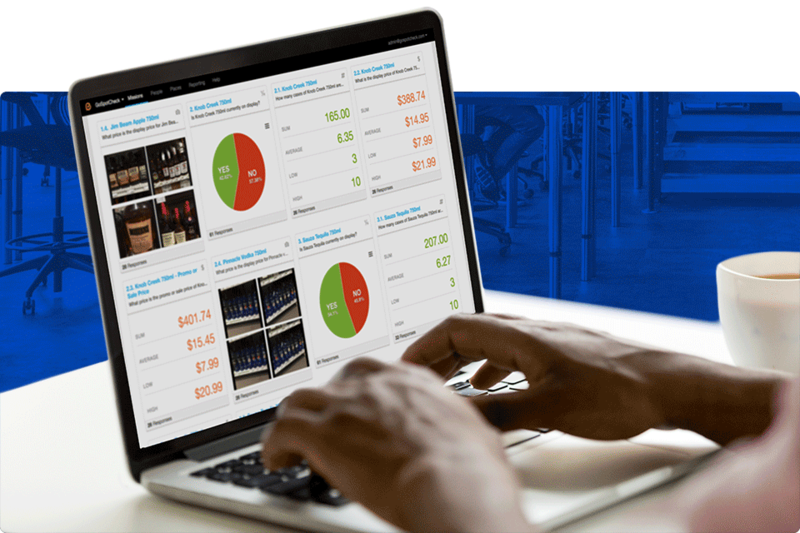 Our software helps teams perfect merchandising, increase sales, reduce labor and expenses, ensure safety and quality, and improve profitability from the field. We do this with dynamic surveys, digital photo capture, machine learning, artificial intelligence, advanced analytics, IoT and data integrations, and automated issue resolution with flexible workflows. 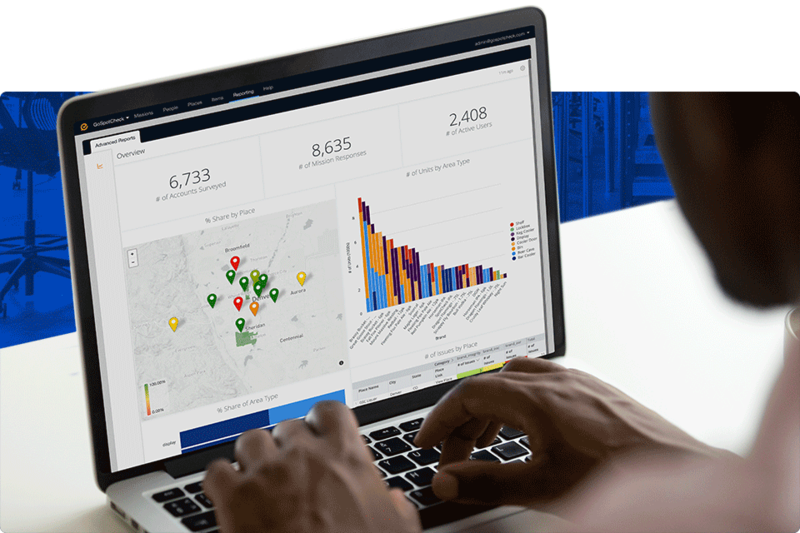 Confirm execution, get alerts on business critical events, and use our powerful Insights dashboards to make strategic decisions in real time and drive exponential impact for your enterprise. Give your teams an easy-to-use tool that’s SSO-enabled, fully-secure and encrypted, scalable, GDPR compliant, integratable in your tech stack, staffed with live support 7 days/week from Denver, CO, and adoptable out of the box within 30 minutes or less. Do great work, faster. Spend more time selling, advising, merchandising, and executing. Shine a light on how you measurably build business in the field. 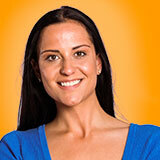 Igniting profitability for the world’s best brands. 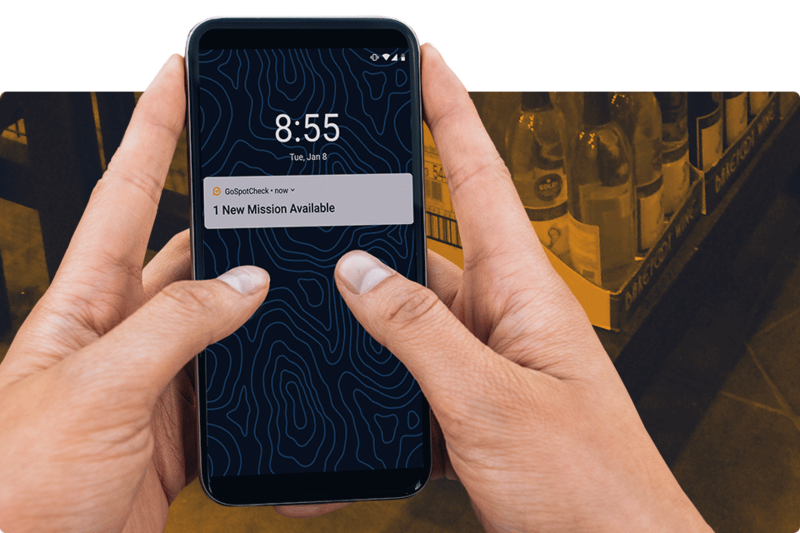 Kayley, a sales rep for Lucky’s, reviews the Mission and sees an automated location list that identifies which of her accounts from the pre-plan is closest to her current location. She visits her first off-premise account and begins the survey. It’s geotagged and timestamped, giving Michael visibility into her productivity. Kayley reviews the pre-plan and incentives sheets attached to the Mission, adjusts her displays, takes live pictures of seasonal promos, confirms placement of top-selling products, and captures competitor pricing and activity across sets. She completes her Mission quickly and spends time with the store owner, educating her about new SKUs available for the spring rosé season, adjusting her current order based on strong sell-through rates, and gathering market intel. Kayley receives a new Mission from Michael to add product to two displays and increase POS signage. He requested additional competitor pricing for a planning meeting he has at 9:30; he’ll use the information to adjust pricing. Kayley corrects the displays and opens her mobile reporting to track how she’s performing toward her incentives. She’ll follow the same process at the next 6 stores she visits. Before, she only had time to visit 3 locations after entering her paper notes into a spreadsheet and manually submitting individual photos via email. It’s month-end and Michael, a District Sales Manager for Lucky’s Liquor Distributors, needs to alert his field team to the key accounts that still need to be surveyed to meet their goals and incentives. He pulls a GoSpotCheck report for a daily pre-plan and sends his team a survey, called a Mission, which they pull up in their app upon receiving a push notification. Michael gets an alert that Kayley has collected new information. 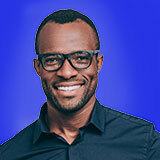 He goes into the GoSpotCheck reporting platform to analyze the findings. He’s looking for compliance on merchandising, signage, and case stack volume on featured promos. Michael reviews his Insights Dashboard to see how the full field looks, downloads photos of top displays to share with his suppliers, and includes a report confirming full compliance at every location for the promo. What used to take days to compile is now done in a few clicks. Kayley reviews the pre-plan and incentives sheets attached to the Mission, adjusts her displays, takes live pictures of seasonal promos, confirms placement of top-selling products, and captures competitor pricing and activity across sets. She completes his Mission quickly and spends time with the store owner, educating her about new SKUs available for the spring rosé season, adjusting her current order based on strong sell-through rates, and gathering market intel. Michael gets an alert that Kayley has collected new information. He goes into the GoSpotCheck reporting platform to analyze his findings. He’s looking for compliance on merchandising, signage, and case stack volume on featured promos. Kayley receives a new Mission from Michael to add product to two displays and increase POS signage. He requests additional competitor pricing for a planning meeting he has at 9:30; he’ll use the information to adjust pricing. A recent study by Johns Hopkins revealed that a single foodborne illness outbreak could be catastrophic for a restaurant's brand and bottom line. Here are 5 ways restaurants can instill a culture of food safety and prevent these kinds of outbreaks from occurring. 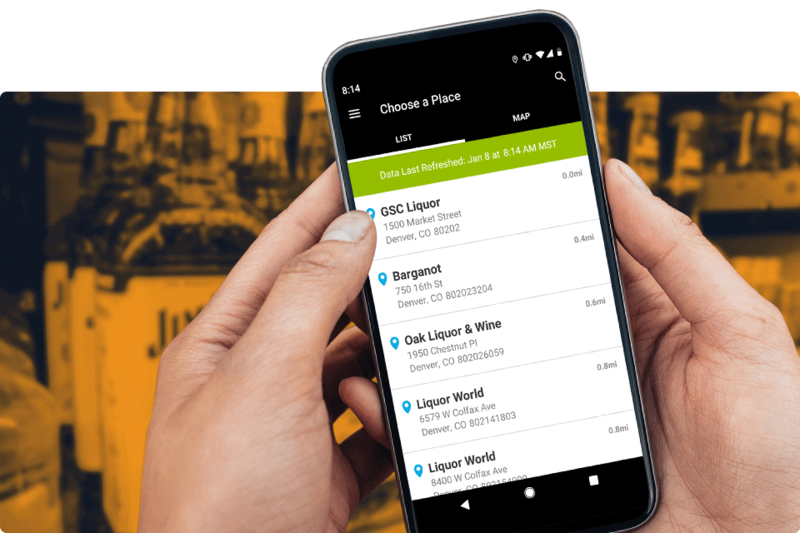 The CPG giant is leveraging GoSpotCheck's new HiFi mobile computer vision solution to streamline the previously manual process of optimizing store product mixes and ensuring compliance in its beverage categories. We are honored to be named one of the Editors’ Picks for the 2019 Consumer Goods Technology Readers’ Choice Survey. This year’s annual survey includes world class providers like HubSpot, Spring Global, and Trax Retail. Come see how we are reimagining the future of Wine & Spirits retailing. Visit our booth at WSWA to see HiFi, our machine learning image recognition tool, which accurately analyzes a set within 30 seconds. Need a recharge? Visit our hospitality suite in Del Lago 2 for oxygen, chair massage, shoe shines, and comfy lounge seating. Test drive the retail execution app that saves time, increases sales, and enables exceptional customer experiences in a real store environment. We’ll also unveil a revolutionary technology that saves exponential labor, improves set profitability, and ensures data accuracy through machine learning. World, meet GoSpotCheck’s HiFi, now in Beta testing with PepsiCo.